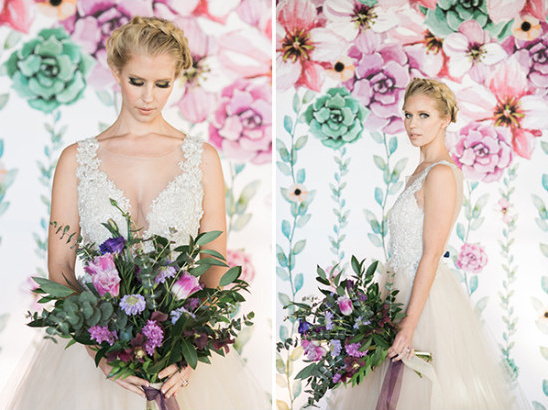 What happens when you take human emotions and translate them into stunning wedding inspiration? 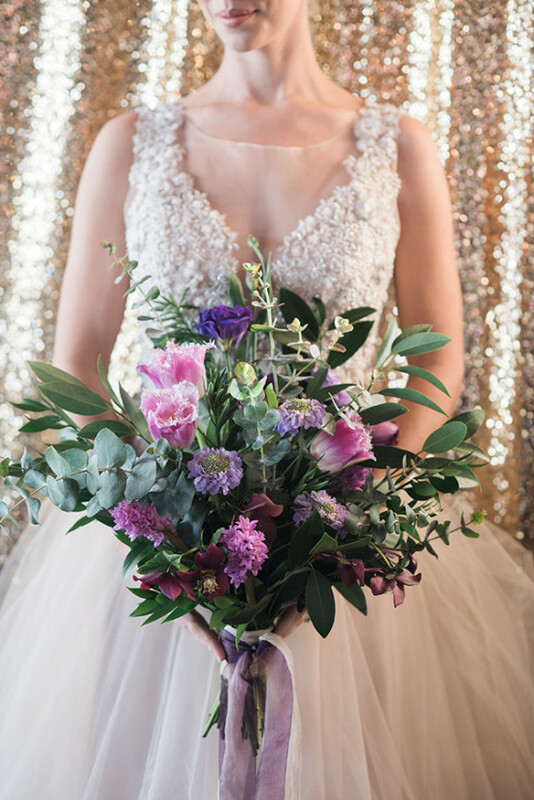 This amazing shoot of course, styled by First Look Events at the Moss Denver event center. 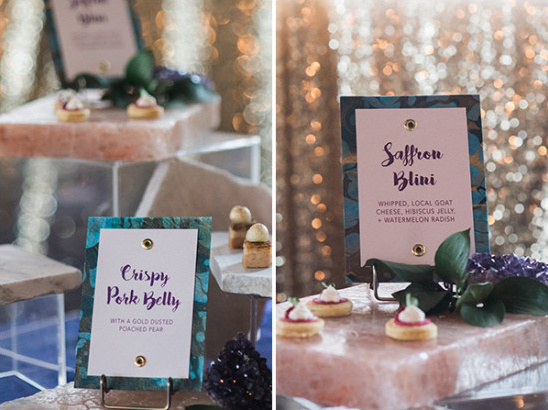 Geodes can be found in every last detail, from the stunning cake by Intricate Icings Cake Design, to the amazing table numbers with gold calligraphy by Sweet Zion Paperie, even the amazing dress from Emma & Grace Bridal has us in total awe! 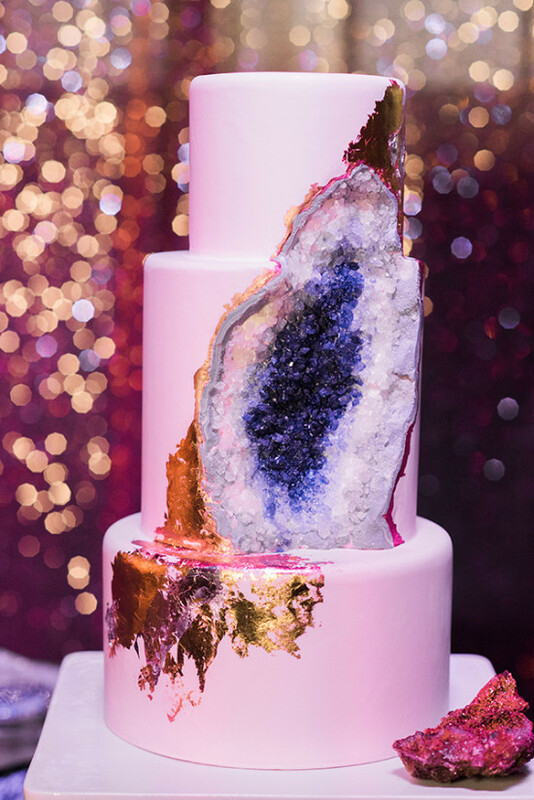 Keep scrolling for more purple, blue and gold geode inspired wedding ideas, and be sure to swing by the full gallery to check out all the beautiful images from Ali & Garrett photography. You won't want to miss it! 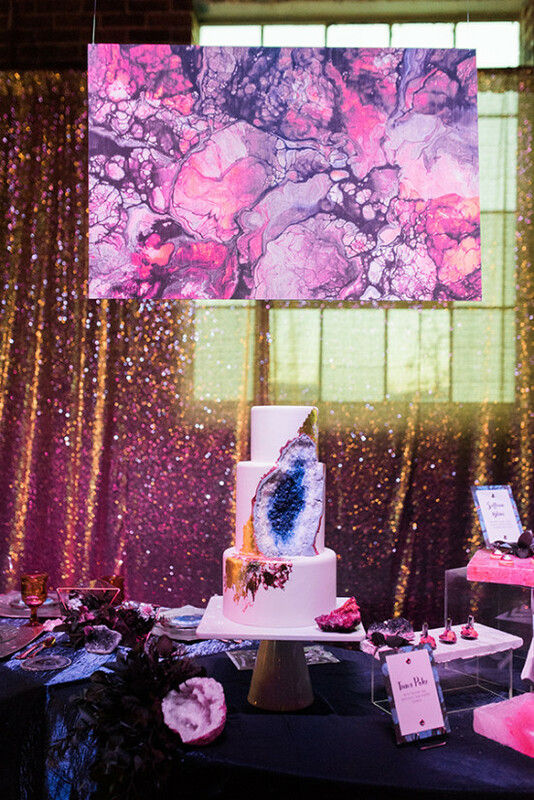 How do you make a splash in the Denver Events scene? 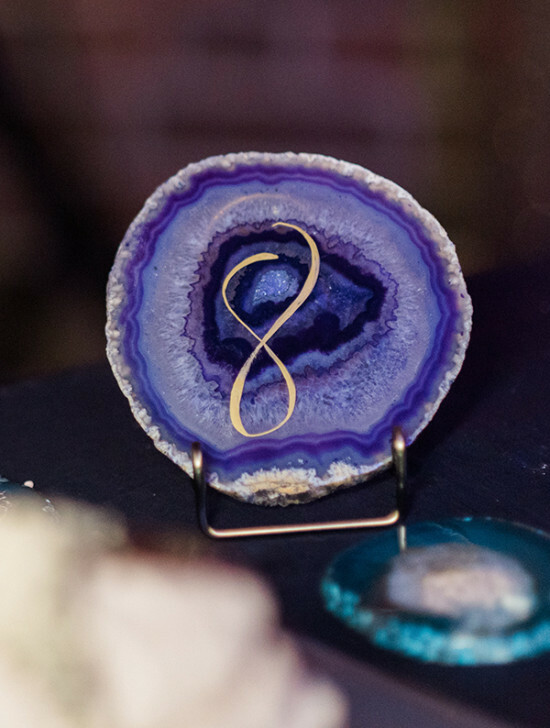 Plan an event centered around a unique inspiration, add a splash of fire, a hint of mystery, and pack the room with amazing professionals. 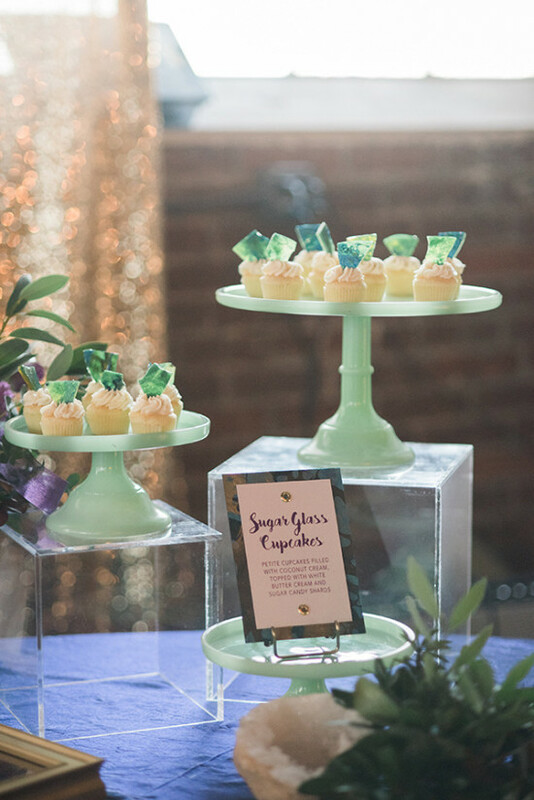 That is just what we did for the launch of First Look Events and Moss Denver! 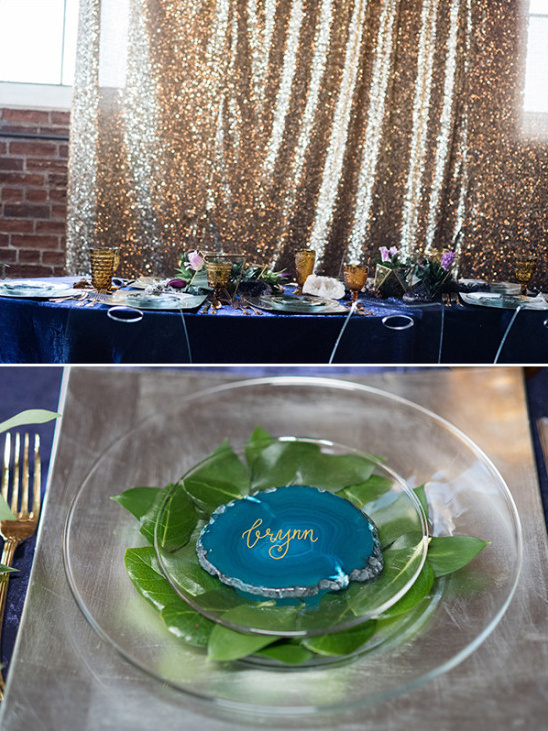 When we first set out to plan a styled shoot we knew that we wanted to use an unexpected inspiration for our designs. 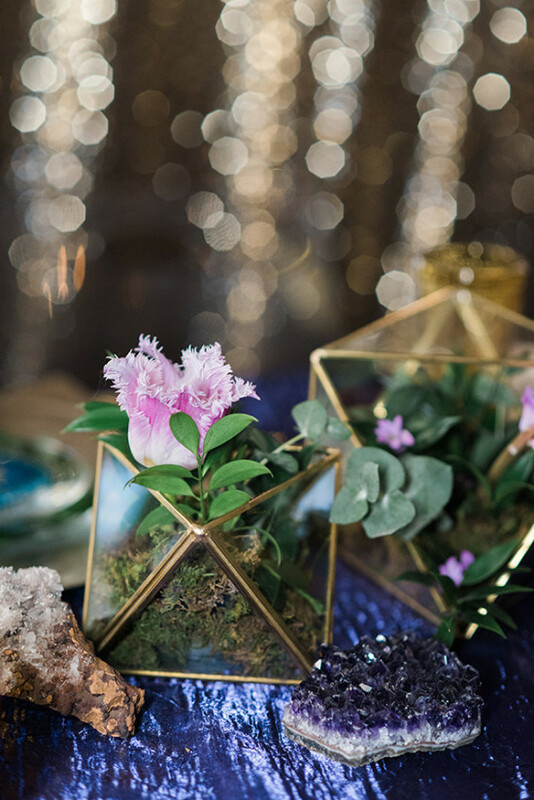 The following vignette explores the idea that the human feelings can inspire event design in a fresh way. The design in this collection is intended to purposefully evoke an emotional response from the audience, taking the experience beyond the eyes alone. Joy Inspiration: Joy is the emotion of great delight or happiness caused by something exceptionally good or satisfying. Joy speaks of experiencing something that pleases the eye, warms your heart or soothes the soul. 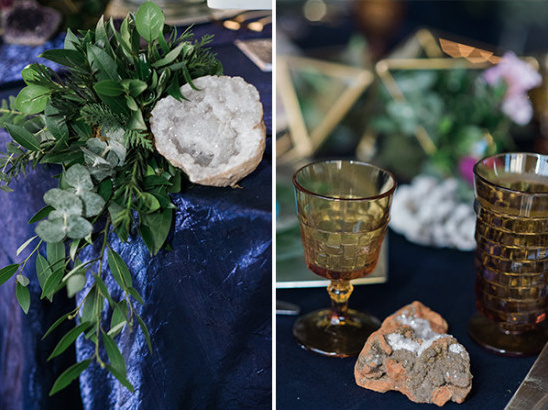 Made real by: Mineral formations, clear acrylic, muted gold luster, mixed metals, unique geode specimens, clustered crystals and polished marble. 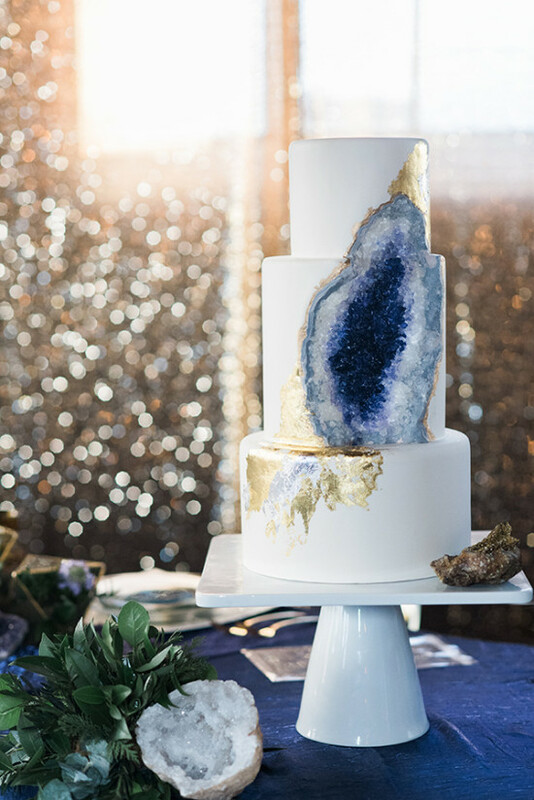 Check out the wedding film from Stelly Weddings below to get a closer look at this geode inspired wedding!